Recently I took to updating the house. First came the kids/guest bathroom. First, let me tell you a little about our house. It is a little over twenty years old, located in sunny Northeast Florida. It is a typical middle income home, but has a great view of a pond. The house was previously owned by the sweetest old couple. They were in there 80’s. They were the only owners and the subdivision builder built it for them. They sold the house to move into a retirement center, because they were no longer able to live alone. We affectionately refer to them as Grandma and Grandpa. This is in no way meant to be disrespectful for they were the sweetest couple you could of met. BUT, Grandma liked wallpaper. Did I mention that Grandma liked wallpaper. 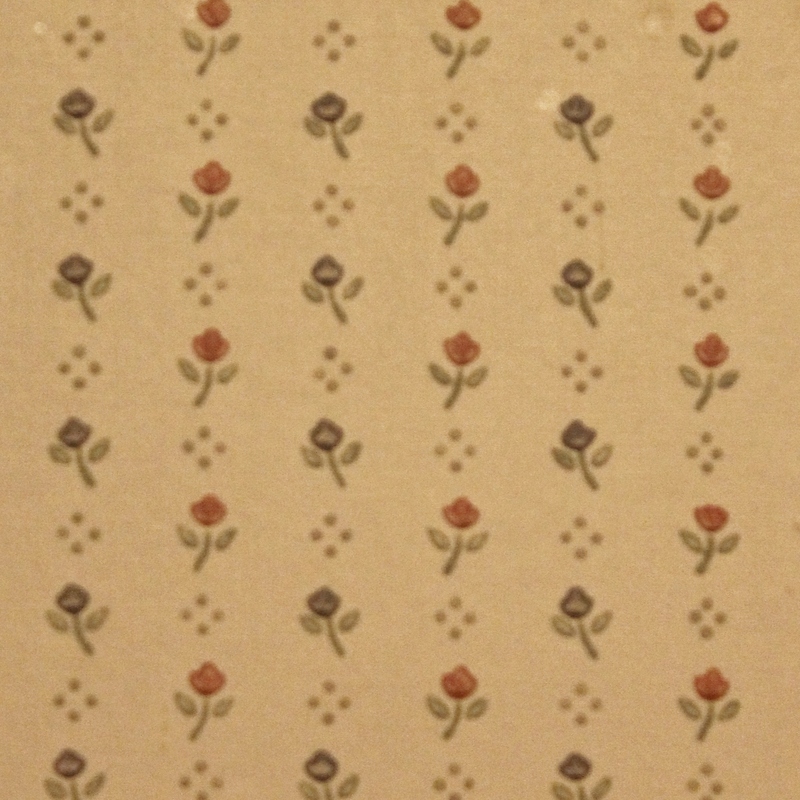 It seems that every room in the house that they used on a daily basis had wallpaper. I worked to remove the wallpaper from the foyer and the formal dining room, but when I got the the kitchen and realized that the builder had hung the wallpaper onto bare sheet rock, I knew I was in trouble! We opted to hire someone to remove the wallpaper, repair the the drywall and prep it for painting. (This was a nightmare on it’s own). Just for your viewing pleasure here is a picture of the wallpaper. It may be a little hard to tell but the flowers are blue and mauve. You have got to love the 80’s style wallpaper! The before picture is the listing photo with Grandma’s decor, if you want to call it that. The shower curtain and window treatments with both a dark dusty rose color. The rugs on the floor were light blue. And yes, they were kind enough to leave them for me. The sun is casting a funny shadow on the wall, but it is all wallpaper. The walls are now a light silver / gray color. The official color is Polar Star by Valspar. I opted for a beachy theme with teal accents. I think it turned out great and the kids love it. Stay tuned to see what all I did to the bathroom. To go to the “Bathroom Makeover Part 2” click here. This entry was posted in Home Makeover and tagged bathroom, paint, wallpaper. Bookmark the permalink.